Credit card design—from design conception to the actual task of drawing them using either a pen or stylus—is a task often relegated to established design teams who already have a reputation in the corporate world. Mere freelance graphic artists do not routinely get credit card design assignments or job offers. And there are different reasons for this. A few are (1) there are limited number of banks and credit card offerings available and (2) banks are traditional institutions and will often hire the same set of designers or even just let their internal graphic team do the job. 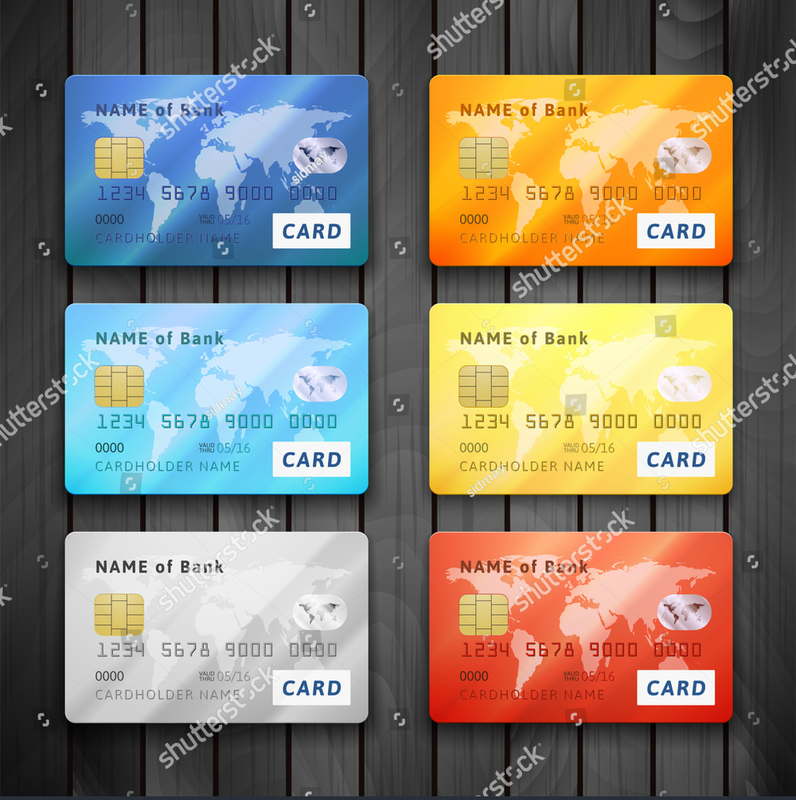 If you belong to any of the groups of people mentioned above and you happen to find this article, then you are most likely looking for credit card design inspiration. If that is the case, then you have come to the right corner of the Internet. In this article, we attempt to provide comprehensive information about credit card design and also provide actual examples of these designs. Feel free to read and/or skim through the subtopics. 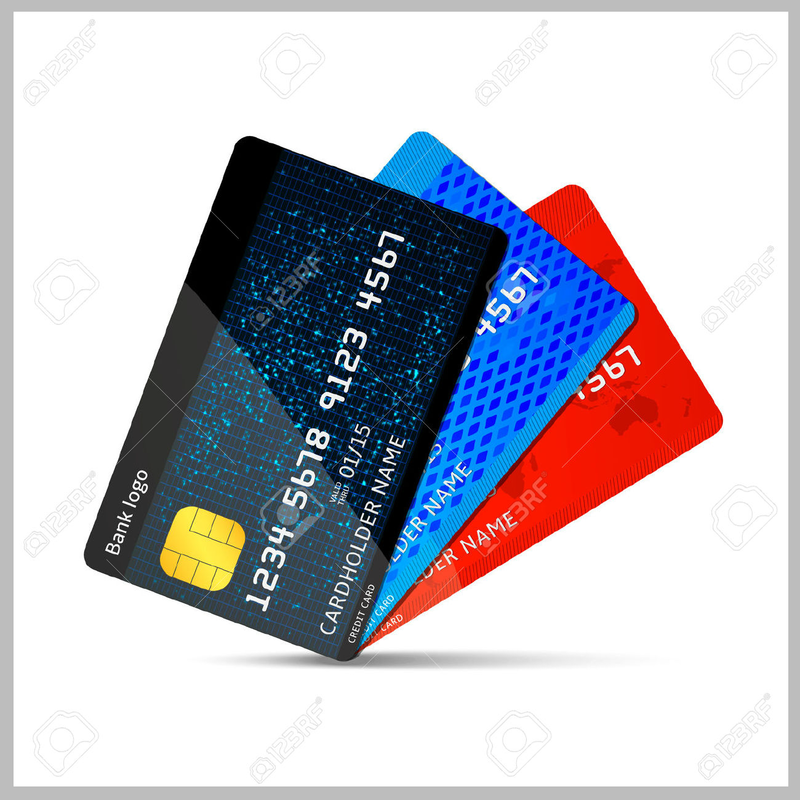 Designing credit cards is a lot like creating debit card designs primarily owing to the fact that debit and credit cards are essential components of a bank’s mechanism of providing non-cash transactions available to customers. There may be a few design quirks that you should keep in mind, but most of them will be about the card’s network security safeguards. Listed below are a few guidelines that you should keep in mind when designing a credit card. Ask the bank or financial institution their vision of how their company’s bank card should look like. Knowing how a company perceives their brand and if they want a specific look or feel for their credit cards is an essential first step in credit card design. This way, you will have a few design inspirations from your employer themselves. Good graphic artists, ideally, will be able to balance out the customer’s design demands with their own design vision. Look for a credit card template. Designers often rely on credit card templates to act as the base for their card design. Ready-made templates help save time and effort in constructing image layers and editing out canvas sizes. Online graphic design resources like Graphic River, Dribbble, Behance, and Shutterstock are a treasure trove of premium and free card templates. You may source your card design base from any of these sites. Include only essential information on the card. Financial firms take their credit card security seriously. When designing credit cards, you should only include the most essential pieces of information on the card face. These pieces of information often are name of cardholder, card number, expiry date, and bank name. Any information aside from that is often relegated to the back portion of the card or is altogether removed. Maintain background image cohesion. Just like creating personal card designs, a credit card design should be appealing and relevant to the company’s image. The most common card design element that helps achieve this effect is the card background image or color scheme. As a graphic artist, you need to carefully toe these lines and achieve a card design that will satisfy your employer. Follow a color scheme. 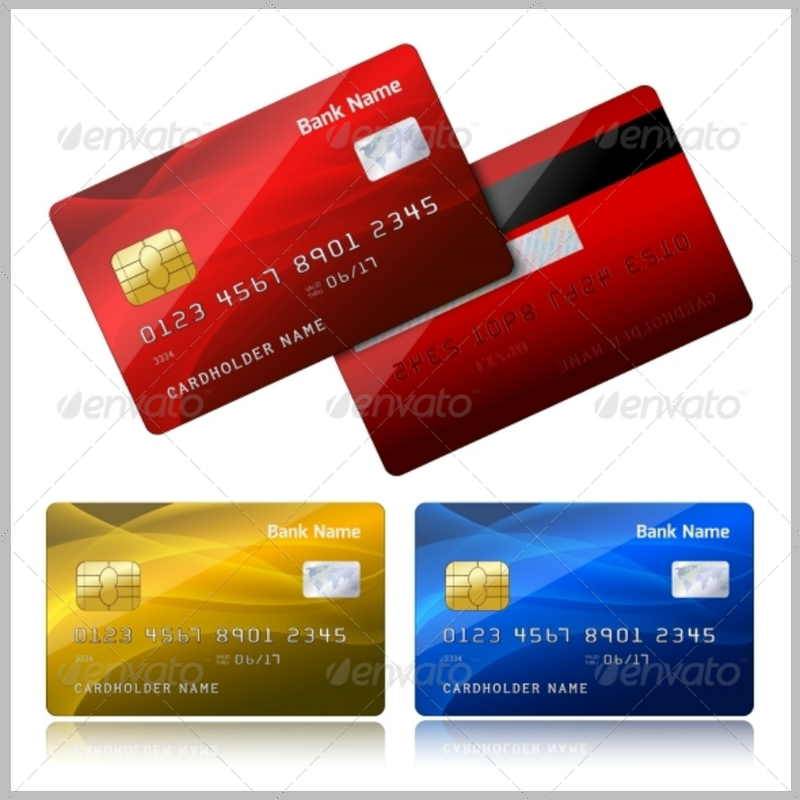 In line with the previous tip, following a color scheme may also help in creating a good credit card design. To illustrate, wedding card templates often follow the same color motif that the couple chooses for their entire wedding. 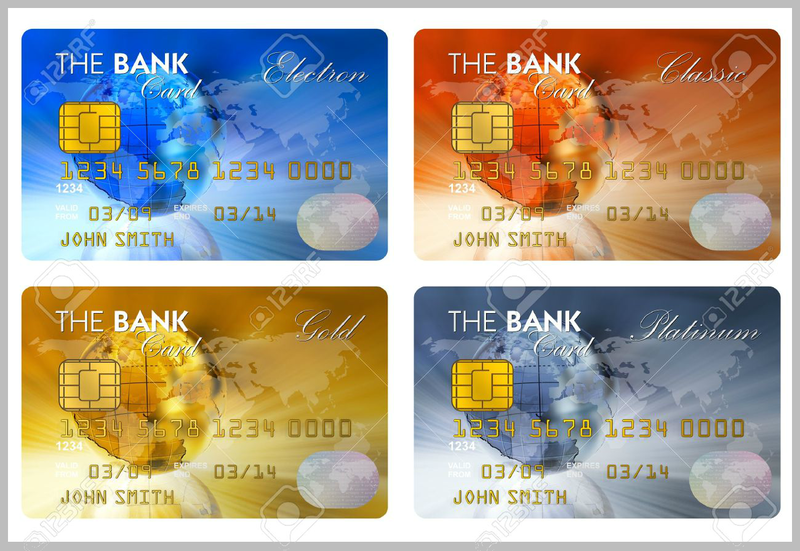 In credit card design, you may choose to follow the bank’s company colors if available. Make use of gradients, tones, highlights, shadows, and 3D effects. More and more credit card designs now follow an easy to print abstract or even a single color design. But in order to achieve these effects, you need to utilize image editing skills in modifying gradients, highlights, 3D effects, and shadows. Learning these advanced skills will allow you to create realistic effects on the card. Keep the design simple. Despite having to use a lot of editing effects, a credit card’s overall design should still be simple enough. The card’s background image should stay on the backdrop and not overwhelm the customer’s eye. The font styles, business logo design, network sticker, etc., should not crowd out the entire image. Have fun! Designing credit cards can be a tough job, especially if you have to deal with demanding clients. But the more experience you get with designing and dealing with people, you will get better at it. Eventually, you may no longer even force yourself to deal with these kinds of people. So for now, treat this designing job (or any job) as a learning opportunity and have fun! This Glossy Credit Card Design includes four card templates in different colors (light blue, dark blue, emerald green, and a green/blue combination). This card design excellently uses different color gradient texture styles without crowding out the whole card design. As its name implies, this next Realistic Credit Card Design Template allows you to create realistic card designs. It is fully editable and you may choose between deep red, gold, and sapphire blue color schemes. Routine bank security features have also been added into the card design. This way, you will not have a problem in adding them when the bank asks for it. This Detailed Glossy Credit Card Design Set will work seamlessly with a bank who wants to launch a new set of credit card lines. This card design’s main feature is the detailed rendition of the world map as part of the card’s background image. Coupled with its glossy texture design, the card exudes the sense of adventure and sophistication at the same time. 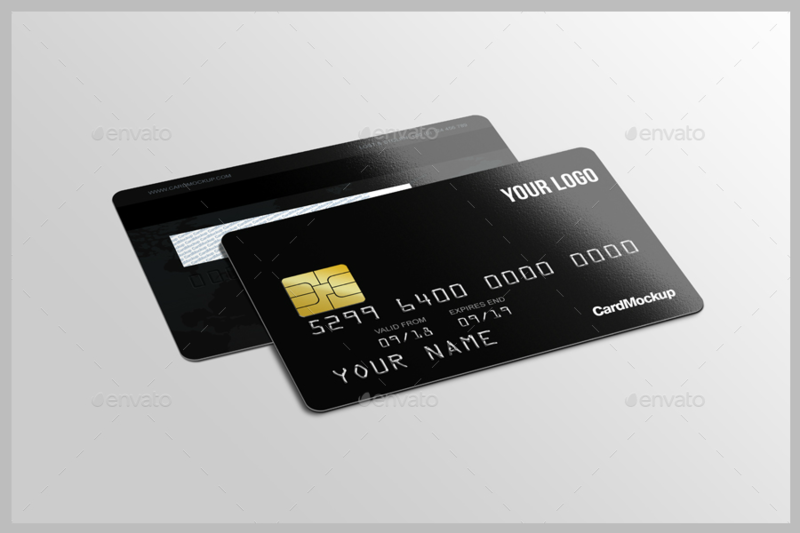 For those who want a basic card design to either learn the ropes of card designing or for creating a totally original card design, this Black Credit Card Design is the one for you. A black card template may aptly act as your blank slate when designing. Regular block shapes in a credit card design like the one pictured above help emphasize a bank’s reputation of financial security. The Polygon Background Credit Card Design combined with the color gradient effects used is a good example of this credit card design. This template is fully customizable and you may change the base color of the card to match your company’s preferred color. 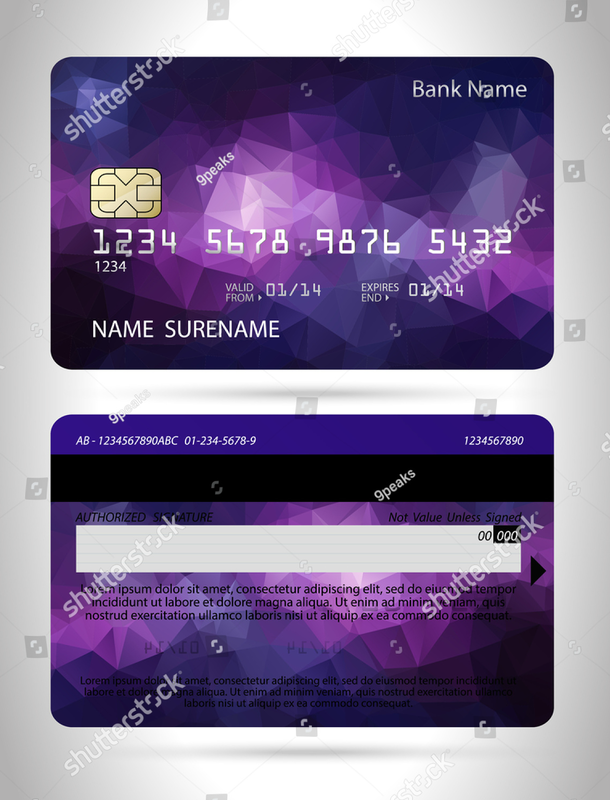 The Plain Credit Card Design Template is another bank card design that may be used by those who want a blank slate in terms of creating card designs. Design templates like these allow graphic artists to experiment more with the different design elements that they wish to include in the card. These design elements may range from star patterns to elaborate background images. 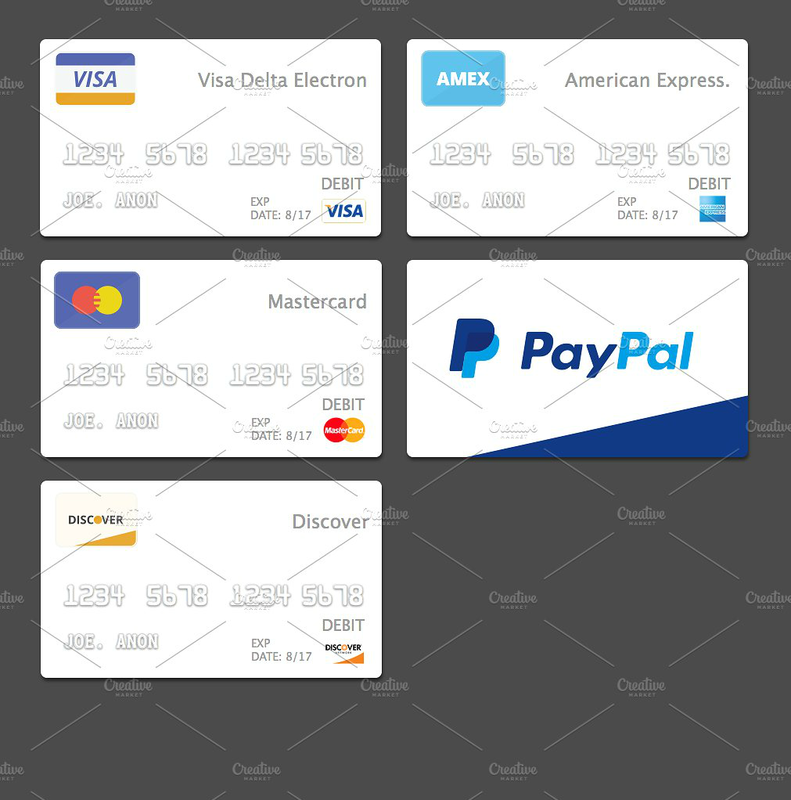 The next design template is the Vector Credit Card Design. It is available as a vector file and you may edit some of its design components to match your organization’s needs. When editing bank card designs, remember to also customize your company’s logo or banking icons so that they will fit into the card design. The color blue denotes tranquility and a sense of peace. 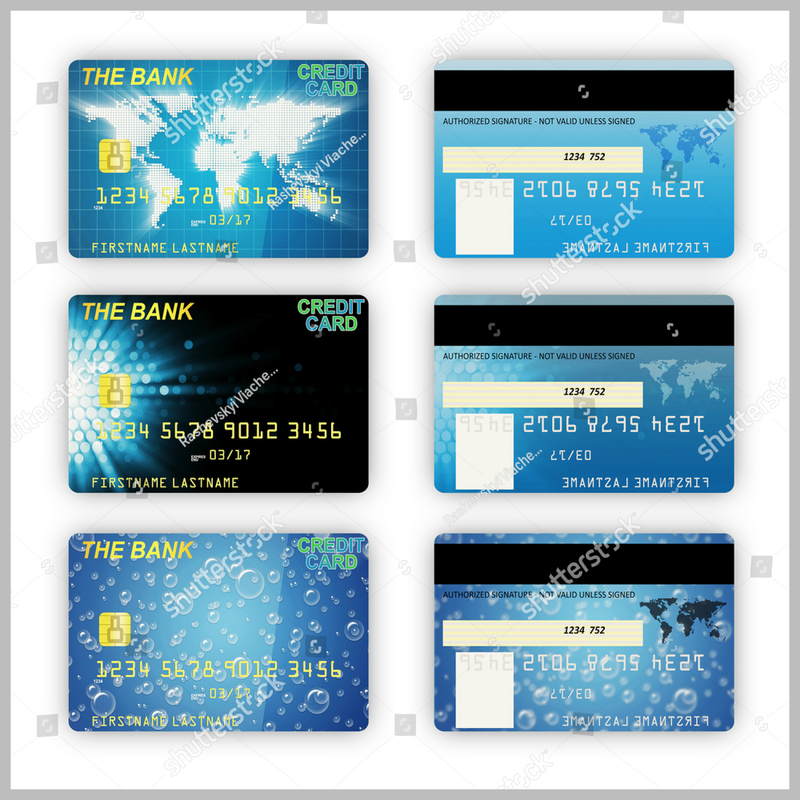 If you want your credit card designs to show this, the Blue Credit Card Design Set template may work best for you and your client or employer. Blue may be a common credit card design color but a lot of people find this acceptable for a credit card design primarily owing to the psychological effects of the color. This Pastel-Colored Credit Card Design template may work well with credit card lines targeting shoppers and travelers. The card design follows a pastel color scheme and may also appeal to the younger generations. The world logo design and the superimposed world map may help establish a credit card’s lifestyle credit lines. 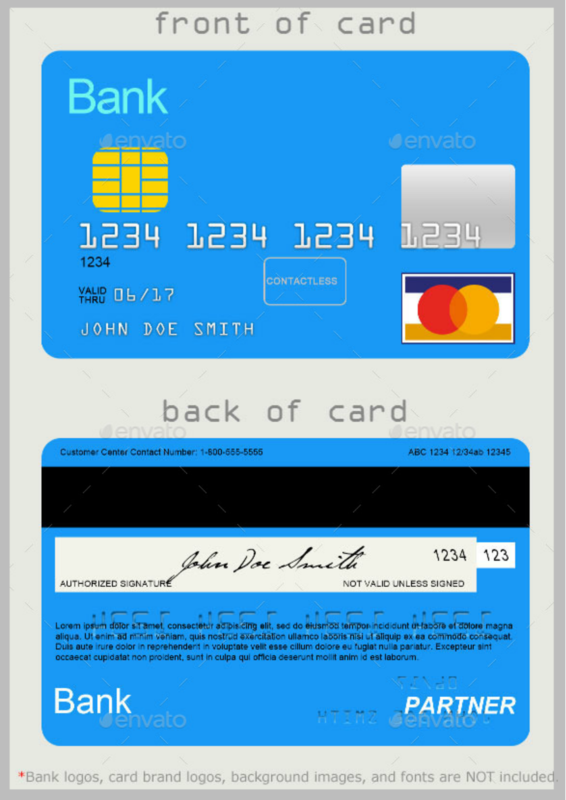 The Minimalist Credit Card Design Template is another bank card design template that will work best as a card template base. You may use this to create more ambitious background designs. Despite that, this card design template may still be used if a client prefers a clutter-free card design. 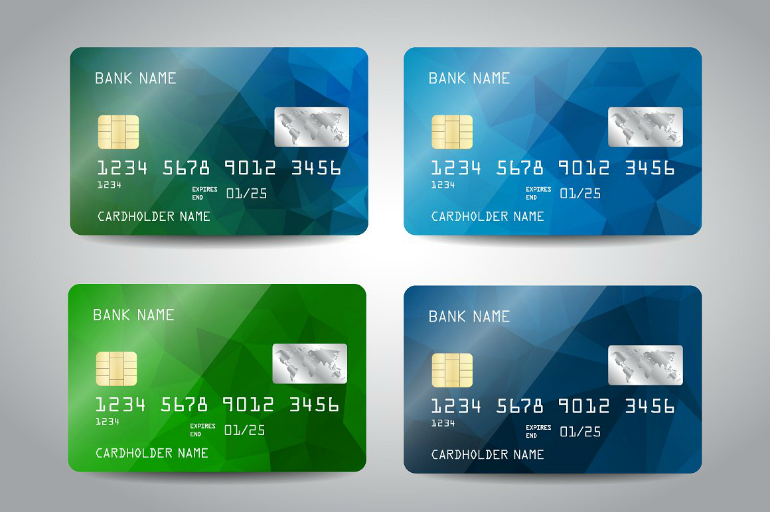 Have you chosen a credit card mock-up design? Do not be pressured to only choose a bank card design from the ones listed above. You may also browse for other types of card designs within the site. Let this article guide you in choosing the right one. Enjoy!